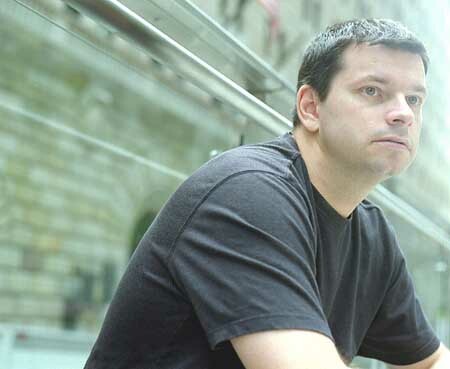 Known as one of the most well respected and liked members of the DJ circuit, Chris Fortier started his career as resident at the infamous "Aahz" clubnights in Orlando, Florida during the early nineties. These visionary nights served as a platform to not only bring such international talent as Sasha, John Digweed and Dave Seaman to America for the first time, but to establishan "Orlando" sound that would become synonymous with clubbers and DJs alike for years to come. Almost a decade on, Chris' career has seen him achieve world-wide chart success with his Sanctuary remix of Delirium's "Silence" and a DJ career that has seen him play the world's finest venues alongside his peers. In addition, Chris has also been instrumental in developing the "progressive sound" in America through his very successful promotional record service as well as starting and developing numerous careers of many established US and UK artists. In the early days of a very young American scene, Chris surrounded by other US pioneers, such as DJ Icey, Rabbit in the Moon and Jimmy Van M, Chris quickly established himself in the studio alongside one-time surf competitor Neil Kolo. On their own imprint, Fade became the leading force in Orlando's critically acclaimed movement with a number of singles, including the much sought after "Heaven to Heaven." The Pair were signed up to a UK imprint fora multi-single deal and remixes followed; firstly for other Floridafavourites, Kimball & Dekkard, and then for the likes of BT, Sam Mollison, Space Brothers, Sounds of Blackness, Heliotropic, not forgetting the classical reworking of Future Force's "What You Want." More recently, they have been featured twiddling the knobs on Highland, Mara, and Angel, Along with forth coming Sarah Mclachlan and Bedrock mixes, the pair are currently finishing demos for a proposed as yet unsigned album and a pending EP for Perfecto. As Chris' productions gained notoriety across the pond, so did his Djing with regular tours around the UK alongside long-time friend John Digweed, Tours for Northern Exposure, and Bedrock helped develop Chris' name as acredible force in Europe, where he is still currently found playing the continent's top venues at least one weekend a month. Away from the studio and the decks, Chris takes great pride in his role at Balance Promote Group. While Jimmy Van M established the touring side of the organisation, Chris has developed the record service as America's premier choice for labels to promote their product in the States. As a perennial driving force within the U.S industry it has been a powerful vehicle to kickstart the U.S scene into the ever growing healthy state it is currently in.